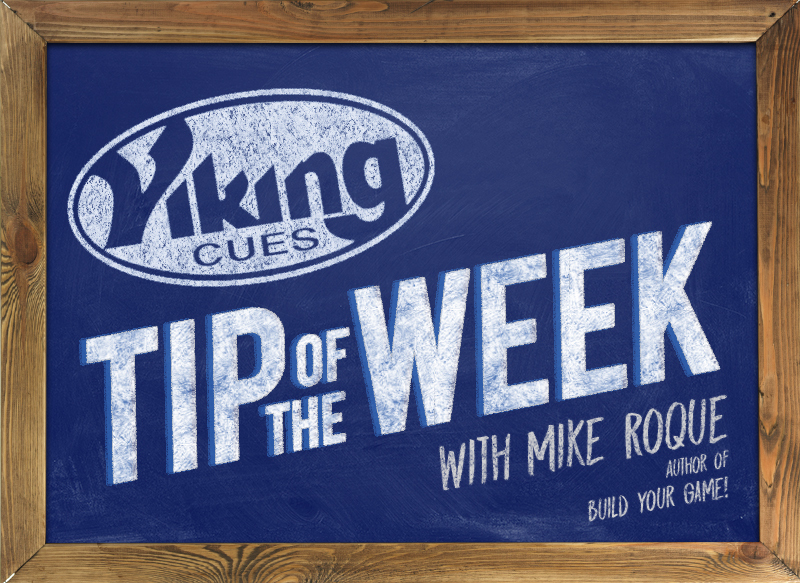 Cue Ball Control - Viking Cues Tip of the Week with Mike Roque author of Build Your Game. The whole game is the cue ball. Sure, you need to pocket balls, but position is everything. Excellent position makes running out easy and that’s how you win games, stay on the “A” side, and take home the cash. The location of the cue ball is always critical. When playing position, focus on bringing the cue ball to a specific spot that will make your next shot easy to execute. If you are playing a safety, bring the cue ball to a place that creates the most difficulties for your opponent. Most safeties demand precise cue ball placement. Part of your practice time should be devoted to position play. Don’t worry if the ball doesn’t drop. Concentrate on position. Learn the standard shots and their cue ball routes and develop a feel for the right speed to leave the cue ball wherever you want it. Master bringing the cue ball to and through the center of the table as this will reduce your possibility of scratching. Master all the up–and–down table routes as they come up in almost every game. When you master control of the cue ball, it will look as if you have it on a string. It will appear effortless! Control the cue ball and you control the game.